Join us for this two day event! Experience Kimberbell projects like never before! You will complete six exclusive projects! 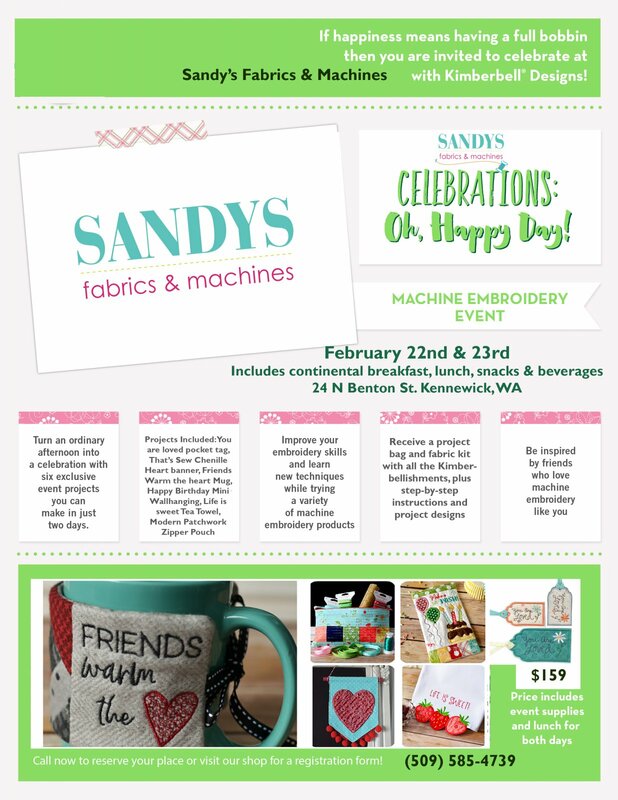 Projects Included: You are loved pocket tag, That’s Sew Chenille Heart banner, Friends Warm the heart Mug, Happy Birthday Mini Wallhanging, Life is sweet Tea Towel, Modern Patchwork Zipper Pouch. Improve your embroidery skills and learn new techniques. Come get inspired by friends who love machine embroidery like you! No need to bring anything but your own imagination and passion for embroidery and sewing!